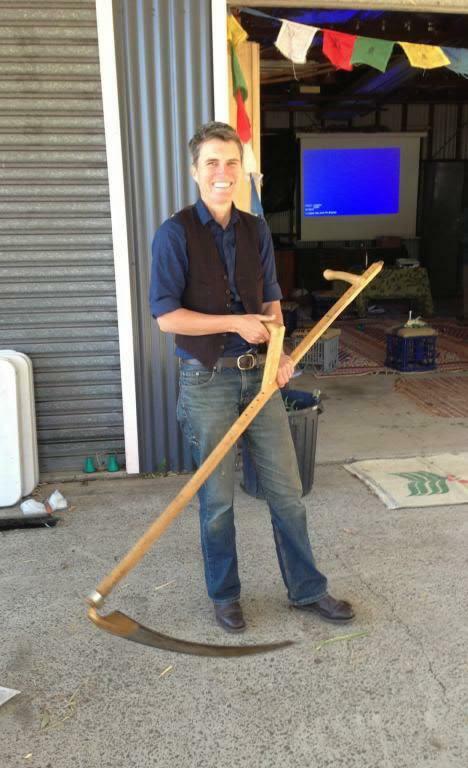 A re-emergence of the Scythe has been occurring over the last ten years as people choose to leave petrol powered edge trimmers and mowers in the shed. Using a Scythe is easier on your body than a powered edge trimmer and just as efficient. The benefit of Scything is you can create your own hay and mulch as the cut grass piles beside you in nice windrows.